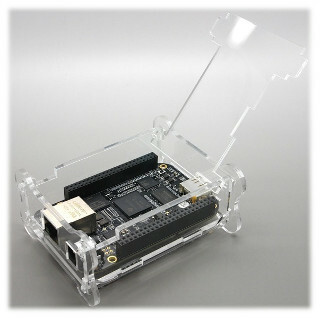 A stylish and cool enclosure for the BeagleBone Black! Please note that all protection foils must be removed before assembly. The BeagleBone Black in the image is only present for illustration purposes and not included in the delivery.